Beaches of Cheyenne-Pet Friendly-Near Chucks-26 miles from Jordan Hare! A modern cozy cabin in Blue Creek with big views! 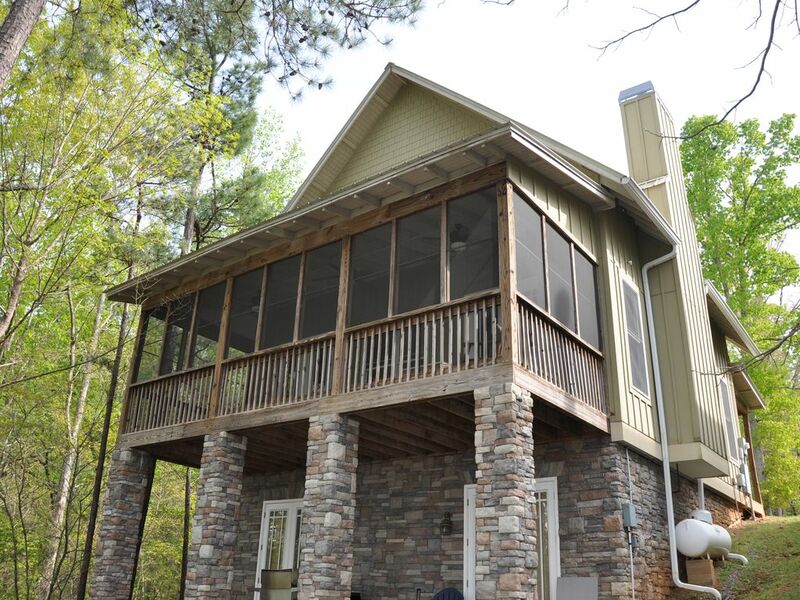 This 3 bed/3 bath cottage on Lake Martin is within walking distance to the lively Chuck's Marina/Pizza and comes with its own boat slip-far right on the end. The private master suite and laundry is located on the top 3rd level offering a cathedral ceiling and jetted tub. Queen Bed on main level and 2 sets of bunks on basement level. Great screen in porch for taking in the views! Enjoy Lake Martin from Beaches of Cheyenne this year!